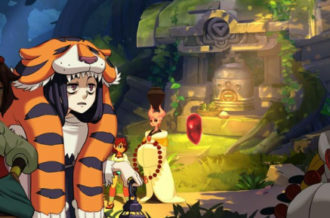 The original Witch and the Hundred Knight only got better with its refreshed move to the PlayStation 4. There might have been some odd issues in the originals story and tone departments that may have pushed the limits of what was enjoyable, even when serving an evil witch. The Witch and the Hundred Knight 2 starts more fresh with different masters and with them, different motivations. Likewise comes multiple endings, optional paths and more room for the plot to stretch its moral legs. In many ways, the game is also very much similar to the original, as sequel are wont to be. 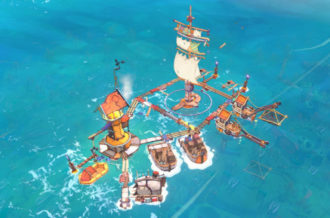 The game doesn’t look especially beautiful, but it’s colorful and areas look built without seeming in any way unfinished. 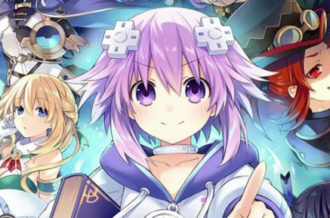 Events still play out visual novel-style, heavy on the text and still images. That’s all well and good for most fans, but one hopes this time around there won’t be so much to sit through just to learn some tidbits of information. What hurts games like this is when much of it is engaging action but every scene contains a ton of filler text until the next valuable plot-point or the new mechanic. For now, the game’s plot does take a heavy presence and much of the time they almost drag a bit. That said, getting hands-on with a game isn’t about seeing what scenes play out, it’s about how the game plays. Fortunately, the Hundred Knight is back at it again with the enjoyable slashing, dodging and rogue-liking. Maps are randomly generated for the most part, with distance being relatively consistent between beginning and boss. When delving into an area, the Hundred Knight once again has to watch his Gcal count (he burns GigaCalories) to remain in the fight without running out of steam. It serves as a soft cap to the Hundred Knight’s combat effectiveness as running out of Gcal makes fighting far less advised and way riskier. When out of Gcal, the Hundred Knight takes a ton of debuffs — including stat hits. Everything a player does out in the field is partially influenced by maintaining a decent, or existent, Gcal count. Likewise, character growth is so much more than leveling up: there’s equipment! For anyone who has not played the first Witch and the Hundred Knight, it’s important to note that equipment matters on a per-hit level. Literally, every hit of a combo requires its own weapon. 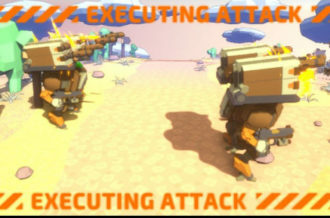 So for example, doing five hits in a row requires five unique weapons. This means each hit can be a different damage type, different damage stats, different speed and different range. They can chain as well, adding damage modifiers to consecutive hits, depending on weapons setup. As such, a better weapon goes a long way with improving damage output. This matters a ton when you take into account the fact that there’s a soft Gcal time limit to how long the Hundred Knight can fight through an area with effectiveness. Furthermore, enemies aren’t slouches when doing damage and the Hundred Knight is almost always outnumbered. There it is — motivation to get better equipment, better levels, more loot and more progress. The Hundred Knight can still regain Gcal from certain enemies, but regaining HP isn’t as simple. If need be, the Hundred Knight must use Gcal to heal himself which also goes for when the Knight is killed. Of course, death comes with another consequence: the Knight drops his loot. Now, before anyone makes Dark Souls comparisons, this isn’t new. It fits right into the rogue-like format the series already has and only serves as another drive to push through the game, get better weapons, level up and fight tougher foes. The game’s not exactly easy but it isn’t discouragingly difficult either — at least in the time I spent with it. The Knight once again has access to different facets, each with their own skills (passives, actives and so on) as well as their own stats and weapon proficiency. These different character classes can be switched to on the fly, but not during a combo. Weapons can’t be shared across them either but so far, that isn’t a big problem as different class-types likewise mean different weapons anyway. 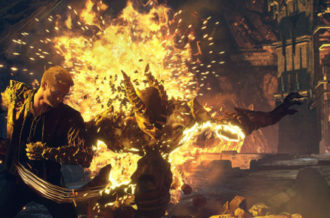 Since different enemies have varying weapons defenses and weaknesses, tinkering between the facets keeps players way more engaged in the moment-to-moment of combat. That said, being able to chain facet changes together mid-combo could have really evolved how a combo goes, allowing for deadly and satisfying momentum. 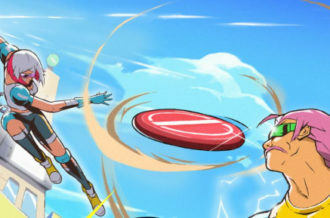 The Mystic Dodge is still present as well, where a perfectly-timed dodge will initiate a slowed-time state. The ingredients are here to make for an addictive action-RPG, mixing major elements that have proven successful before. 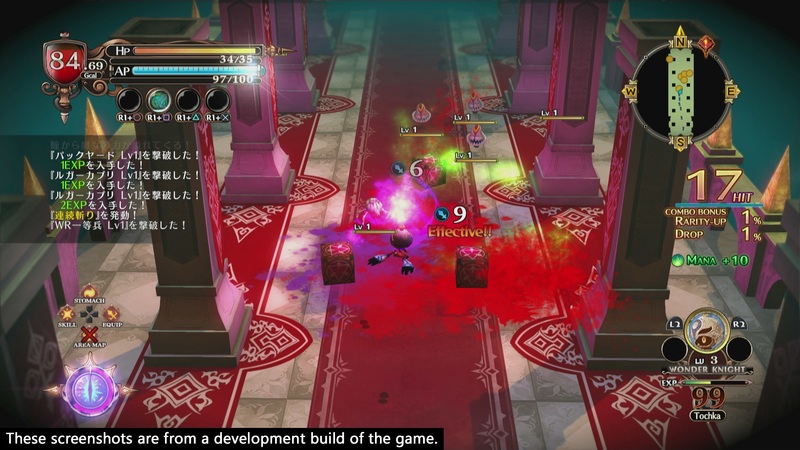 The Hundred Knight has plenty at its disposal to do damage outside of weapons and facets, since along with perfect-dodges, there are also means of doing extra damage to staggered enemies, add that to the ability to consume them for Gcal, the Knight’s Third Eye super mode and players can make some good time when they get the hang of things. The difficulty manages to stay stiff enough from the beginning; being outnumbered quickly snowballs into taking heavy damage and getting too greedy with sturdy enemies leads to some hard punishment. By the time players reach their first few checkpoints, they’re liable to want to leave the level to explore the game hub and see if anything new has shown up. Craft new items and do some trading. The fact that there are stopping points to reach, then leave, is important as ever and manages to keep the experience from feeling too exhausting but also elusive enough to encourage the quest for more strength. Creating the excitement to jump back in is essential to keeping the game’s cycle of looting, pushing forward, fighting and possibly being overwhelmed. So far, this game has that kind of excitement. 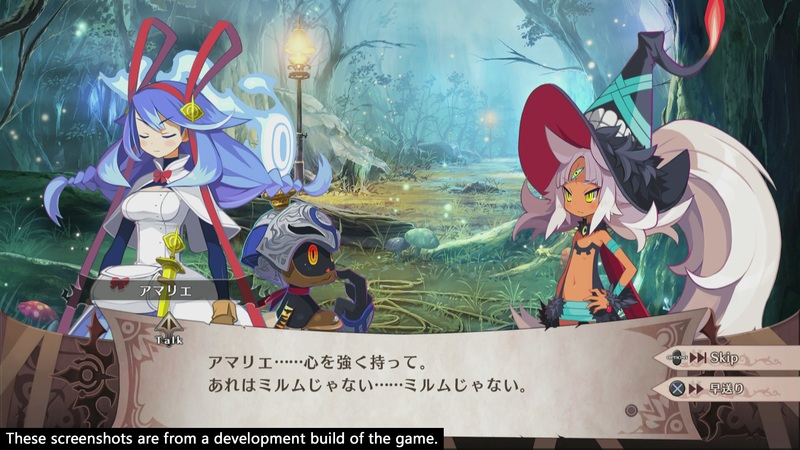 It’s safe to say that The Witch and the Hundred Knight 2 has learned a bit about what made the first game work and what didn’t. A big concern is if the game will drag on. As with any game where a big part of its proverbial carrot-on-a-stick is just getting more things, it can start to lose steam with the more things people have gotten. Likewise, even as a sequel, there isn’t too much to say about it being particularly different from its predecessor. So far, improvements manifest here and there: levels are better designed for pacing, the Knight has access to more combat options and the cast is easier to like than before. But watching the story unfold and even getting introduced to new mechanics or features is still a bit bland. A good eye for level and enemy design can make it go the extra level, adding variety on top of a deep action-RPG framework. As it is now, Hundred Knight 2 is looking like a sequel that takes what worked and goes another step forward with it. Whether it takes it far enough — or if it gets too played out — will become more clear when the game is out for PlayStation 4 on March 27 in the US and March 30 in Europe.